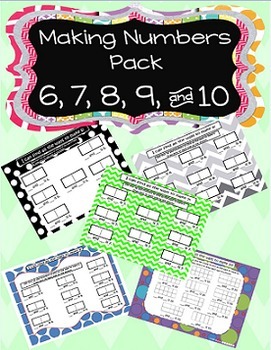 This pack includes an activity page for making each number. 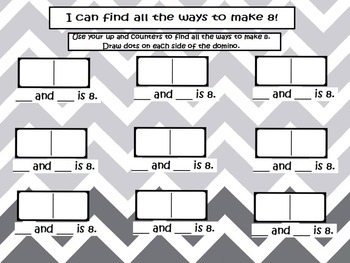 These activities are to be used with two color counters. 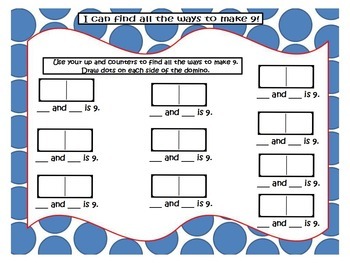 Students have to find all of the ways to make each number and draw dots on dominoes to show each different equation. 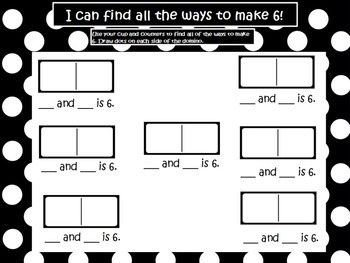 Students then move on to ten frames to discover all the ways to make 10.